Fundraiser for Phillip Lindsay by Colby Vanderbeck : Send Phillip Lindsay to the Pro Bowl! Send Phillip Lindsay to the Pro Bowl! Phillip Lindsay is the first undrafted offensive rookie to be named to the Pro Bowl. He has brought all of us as Broncos fans so much joy and excitement in an otherwise miserable season full of frustration and brutal injuries... An undersized, overlooked back who grew up locally, stayed locally at Boulder, and now is on the Broncos, he has been an inspiration to so many. He was originally our 6th rb on the depth chart but fought his way all the way to the top and produced only the third 1,000 yard rushing season by an undrafted rookie in NFL history... Unfortunately, in week 16 against the Raiders, he suffered a pretty severe wrist injury that is going to keep him out of the finale against the Chargers as well as the Pro Bowl... Pro Bowl rules stipulate that in order to have your trip/ everything paid for, you must be playing. Let’s not let that stupid rule ruin this opportunity for Phillip and Broncos fans as well...Let’s fight for #30 like he fought for our team and get him out to Orlando! I am a huge Broncos fan who has been extremely disappointed with the lack of leadership and accountability from the head coach this season and the results have spoke for themselves... 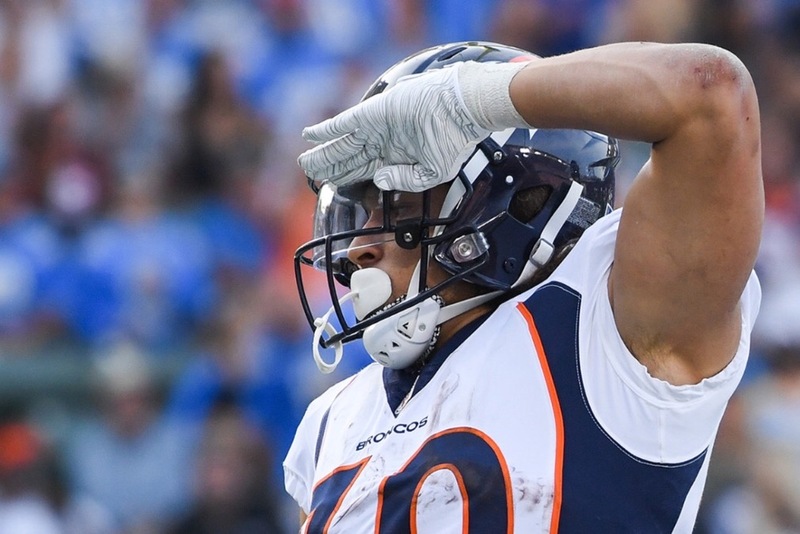 So I am taking it upon myself and Broncos country to help get Phillip Lindsay (who suffered a bad wrist injury that made him lose his Pro Bowl funding from the NFL) to the Pro Bowl by paying for for his flights and hotels and hopefully repay some of his bonus he would have gotten for competing. 100% of funds will be donated to him or a charity of his choice if he does not accept them. I have reached out to the Broncos organization, players on the team and him as well in order to figure out who the funds will be sent to and how. So if anyone has any connections at Dove Valley please let me know! I would even be willing to deliver them in person to him if he would be okay with that. Just got a hold of Phil’s agent, Brian... he is reaching out to Phil today and is going to get back to me on what steps to take and how we will proceed. Will keep everyone posted. Okay so as everyone probably saw, the Broncos and league figured out a way to bypass the stupid rules in place. As I said and as I have discussed with Patrick Smyth (PR Boss for Denver) we will be donating the money to a charity of Phil’s choice. I haven’t spoken with Patrick in a week as he is a part of the team heading up the coaching search/ interviews which should finish up today at some point. I will be reaching back out sometime tomorrow or Friday to get a concrete plan in place. Thank you to everyone who has donated, I will post updates as they come. UPDATE: We hit our original goal of $2,500, now let’s see if we can get to $5,000 to help make up for the player bonus he now will not receive for making the team because he is injured. Don’t understand how that is a rule but let’s keep going! THANK YOU BRONCOS COUNTRY. Currently working on getting in contact with him to make sure we can get the money into the right hands when the campaign is over. THANK YOU TO EVERYONE THAT HAS CONTRIBUTED. I think he will be very happy to see how many people appreciate all he has done for us.